The next generation 3D massage rollers are designed to offer an outstanding massage area and flexibility. 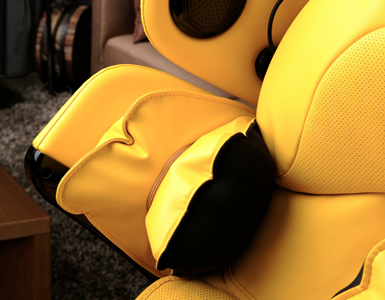 The 3D technology allows the user to control the length of the backrest roller protrusion. From the original startup position, the massage heads can extend outwards, offering a deep tissue massage. 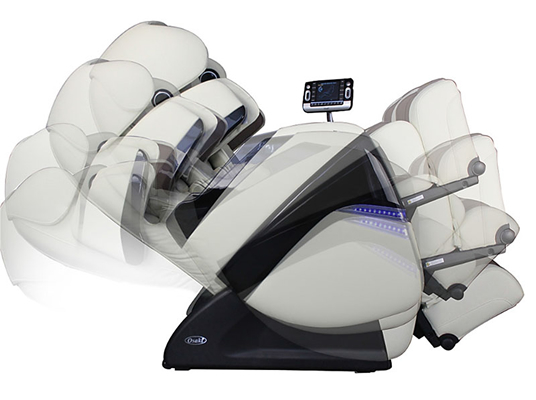 Equipped with the latest 3D technology which allows the rollers to map the spine curve with even greater accuracy, which means an even more precise massage that touches all key areas. 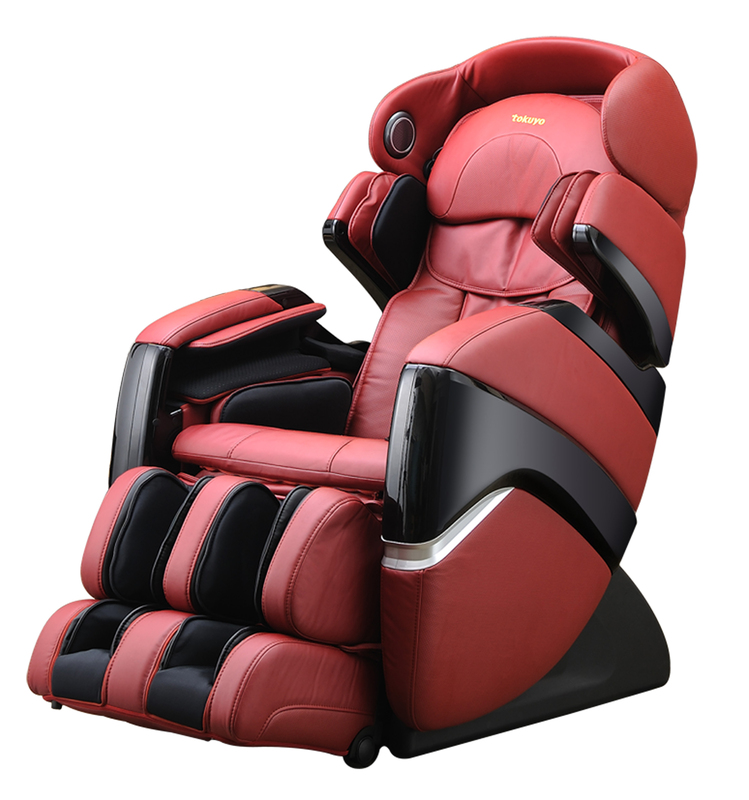 Whatever your body type, this extremely advanced massage chair can measure different body types, creating the sensation of a personalized massage experience. You can choose from among 10 available preset massage programs: “energy,” “deep pressure,” “relax,” “comfort,” stretch,” “demo,” “full air,” “music sync,” and “relief,” each being different from the others. Each preset program will go through all the massage variations, but each one of them will focus more on one certain style. Airbag pressure intensity can be adjusted in up to 5 steps. 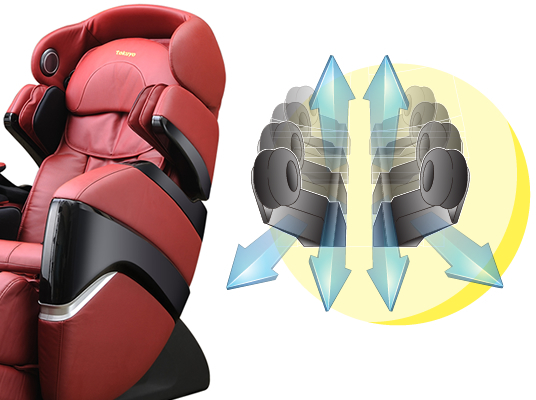 Tokuyo redesigned and developed the next generation air pressure massage technology, making the air pressure massage device more efficient by reducing the number of airbags. Thanks to innovative engineering, we have reduced the total number of airbags, but, at the same time, we have increased the massage volume and area. Thus, the total number of active valves has dropped considerably as compared to the earlier models, which in the end results in lower pressure applied to the chair, which makes this model one of the most solid chairs on the market from a mechanical point of view. Total number of airbags: 36. Along with the mechanical breakthroughs, the materials used have also been improved, as for instance in the case of the arm massage area. 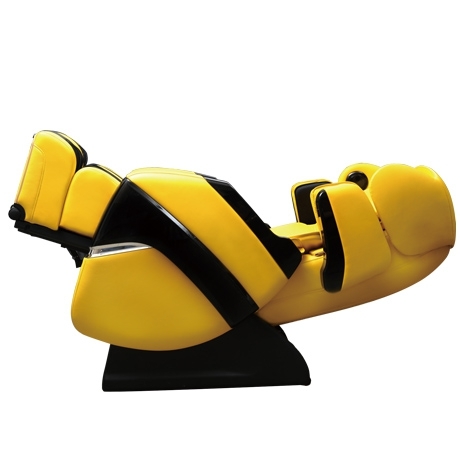 Using a resistant spandex-type material, the lower part of the arm massage device has been lined with small rubber protrusions, with the aim of invigorating the senses, while the airbags compress the upper and lower parts of the forearms and hands. 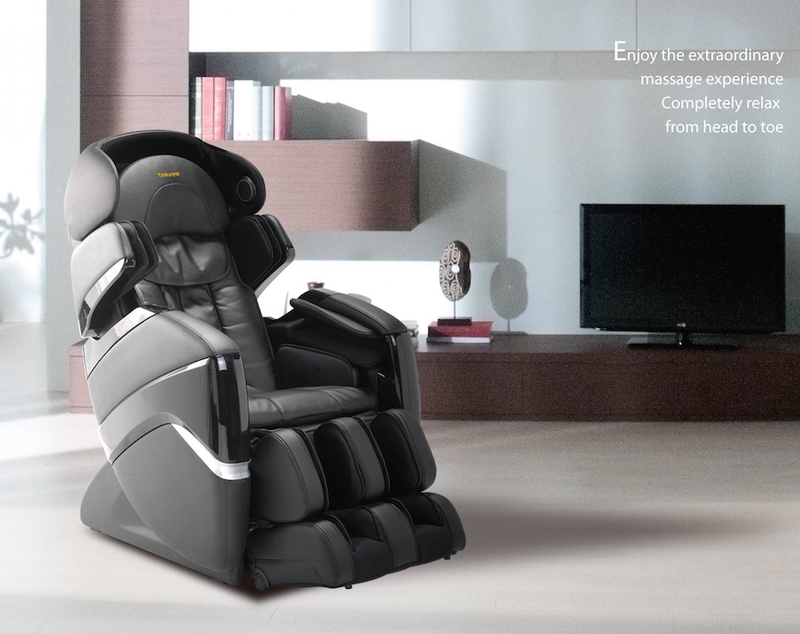 This massage chair defines luxury, being completely automatic, in order that every movement be performed effortlessly. 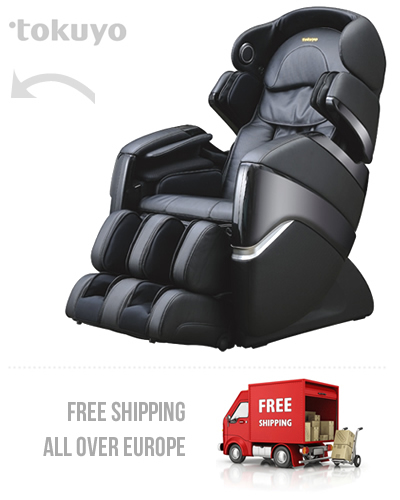 The remote controller is easy to use and it allows you to activate the extensible footrest, the leg rest, the reclining backrest, and the zero gravity position. 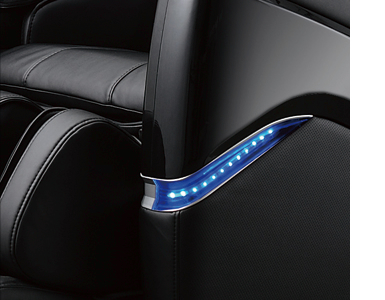 The Tokuyo TC-710 is equipped with LED lights, which create a certain mood. The cool LED lights are hidden behind a metallic Plexiglas pane so that they are visible only when activated. In a dark room, the LED light will project a cool, blue light onto the walls, creating a relaxing atmosphere. 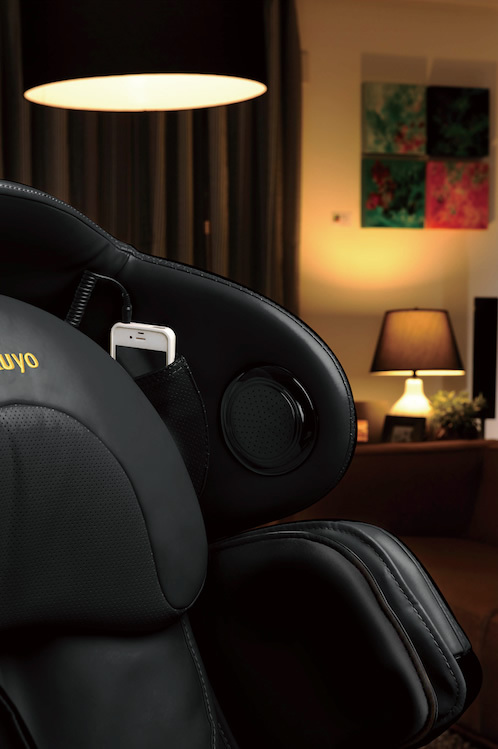 For an enhanced massage experience, this chair is equipped with an incorporated smartphone connection, so that you can listen to your favorite music in the quality speakers placed next to your ears, in order to offer you a direct, clean sound. There is also a pocket where you can hide your smartphone. 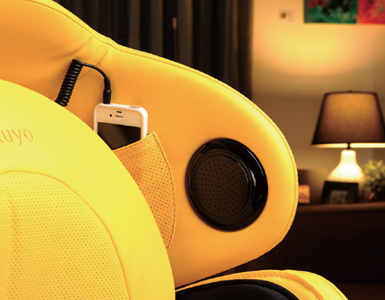 The volume and track selection can be controlled straight from your smartphone. 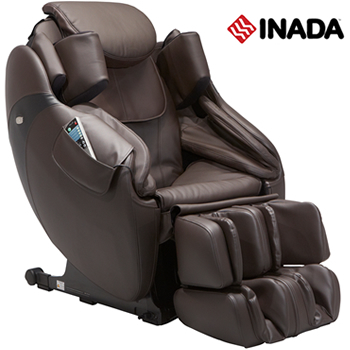 In the lower back area of the chair are 2 pads with heating capability, which will enhance your massage experience. 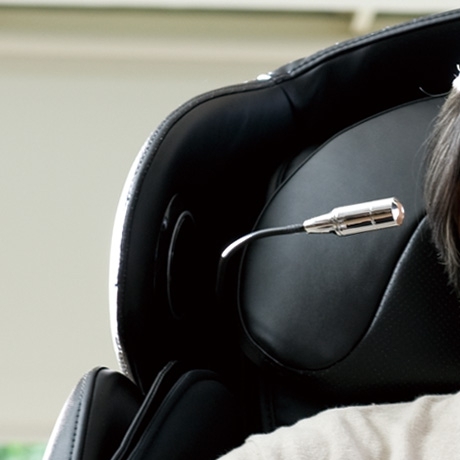 The Oxygen generator complements the numerous massage functions of the Tokuyo chair. This feature provides oxygen for the user’s upper body so that the state of well-being and relaxation is enhanced and blood circulation is much more efficient. Inspired by NASA technology, the “zero gravity” position is the perfect massage position, because it aligns your back and your thighs at an optimal comfort level. 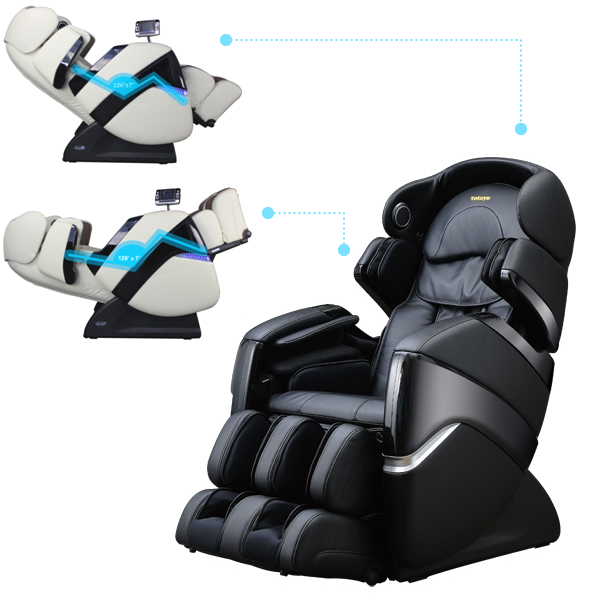 When you are in the “zero gravity” position, the full weight of your back is in fact supported by the backrest, which maximizes the intensity of the massage. There are two levels of zero gravity, the second being more pronounced in terms of the angle in relation to the seat. LCD remote controller for complete control. Very easy to use. 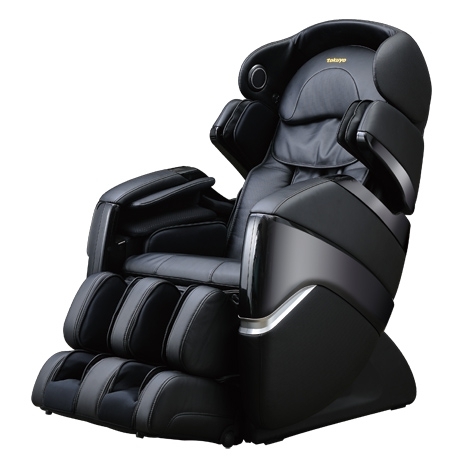 The Tokuyo TC-710 remote controller has one of the widest display screens (5”), in order to allow you to easily see the chair’s activated functions. 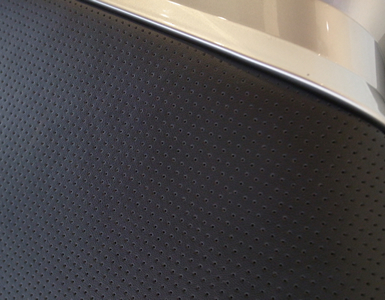 There is also a cover which can be opened in order to access the manual functions of the chair. The remote controller allows you to select the type, the intensity, the speed, and the area of the massage. 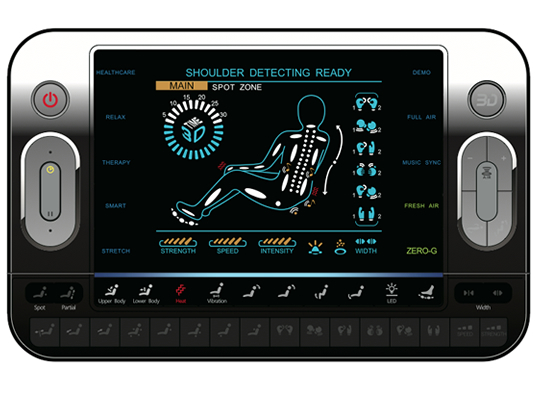 You can also independently select the area in the case of airbag massage. 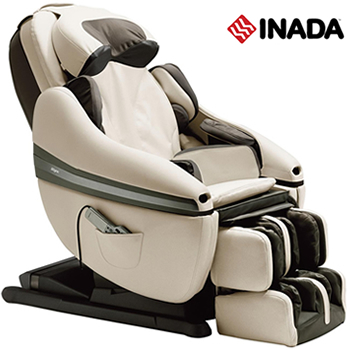 The manual massage mode includes: kneading, tapping, shiatsu, rolling, combined, and knocking. 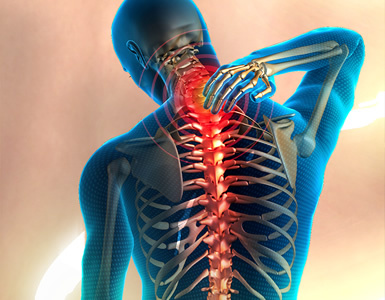 There are about 350 acupressure/acupuncture points on your body, of which about 100 are on your back and neck. Select one of the six types of relaxing massage: palm, Swedish, combined, deep tissue kneading, and shiatsu. 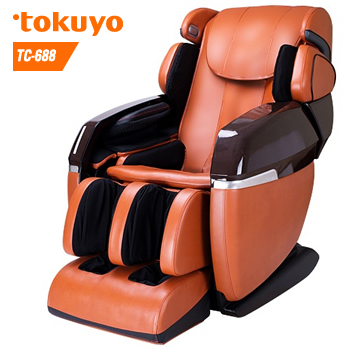 Tokuyo massage chair is equipped with a wide range of techniques, in order to approach the acupressure/acupuncture points with incredible accuracy. At the base of the foot there are two rows of rotating devices providing a reflex therapy massage, offering a relaxing kneading massage. 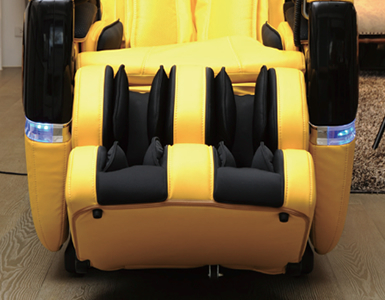 By rotating, the rollers stimulate the acupuncture points, and as the airbags inflate, the massage generated for the lower part of the foot will be much deeper. 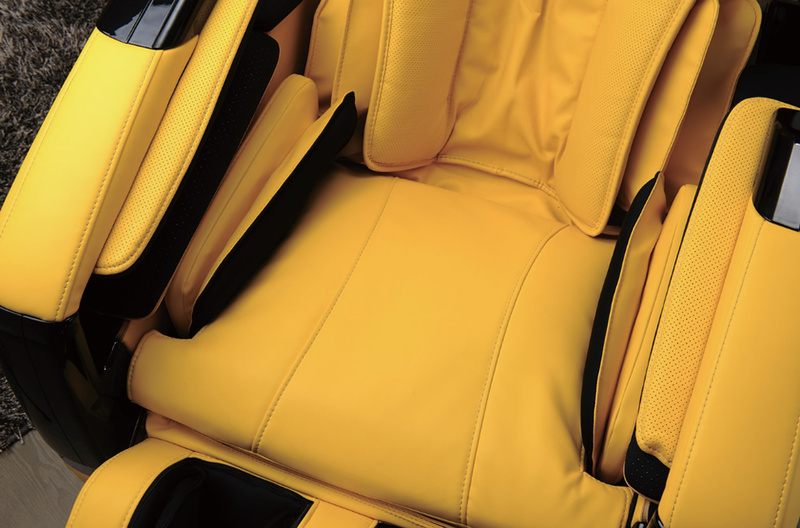 In the upper-middle region of the chair, the airbags are programmed to inflate at independent moments, which makes the body twist, causing a deep, pleasant stretch. The stretching movement is applied to the shoulders, lower back, hips, and thighs. 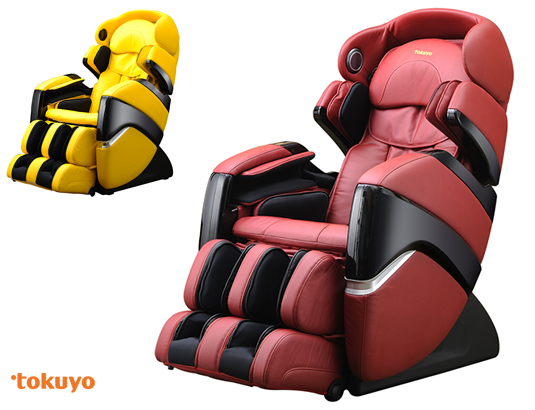 Other colors available for the Tokuyo TC-710 Oxygen massage chair. 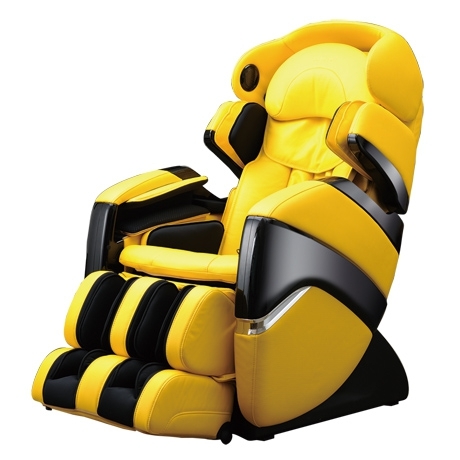 The massage chair is also available in other colors. Depending on your environment and décor, you can choose the color that best suits your needs. 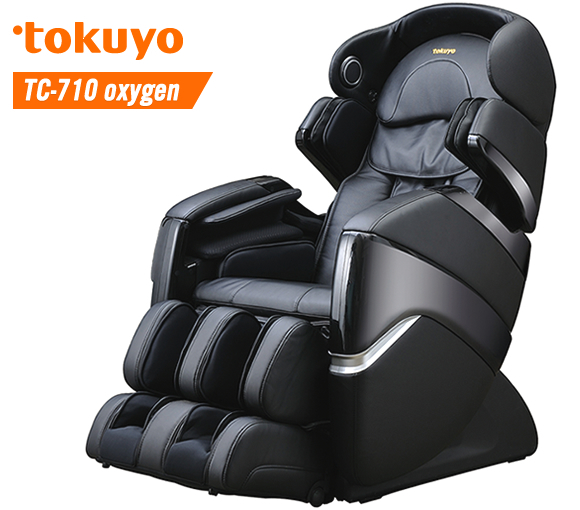 What do customers say about the Tokuyo TC-710 Oxygen? All information displayed on www.komoder.com is the property of S.C. Komoder Interactive S.R.L. (C) Komoder trademark. The contents of this website may be subject to copyright.